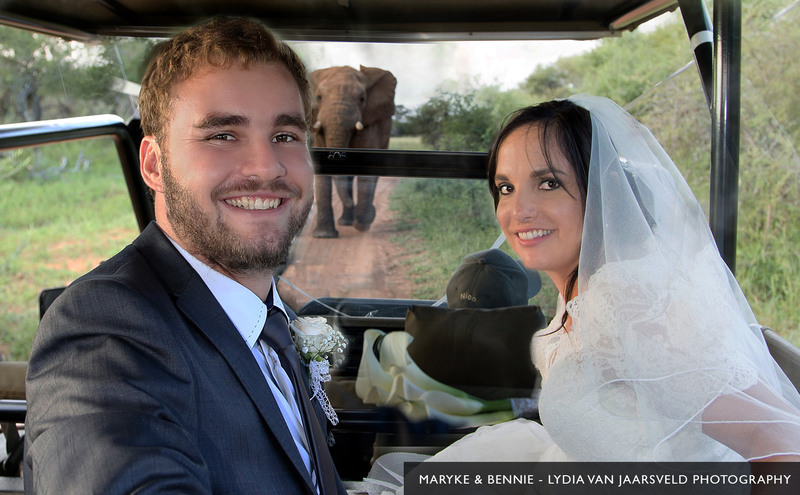 Whether it is an extravagant reception or something intimate that you require, Mongena Private Game Lodge goes out of its way to make every bride's’ dreams come true! 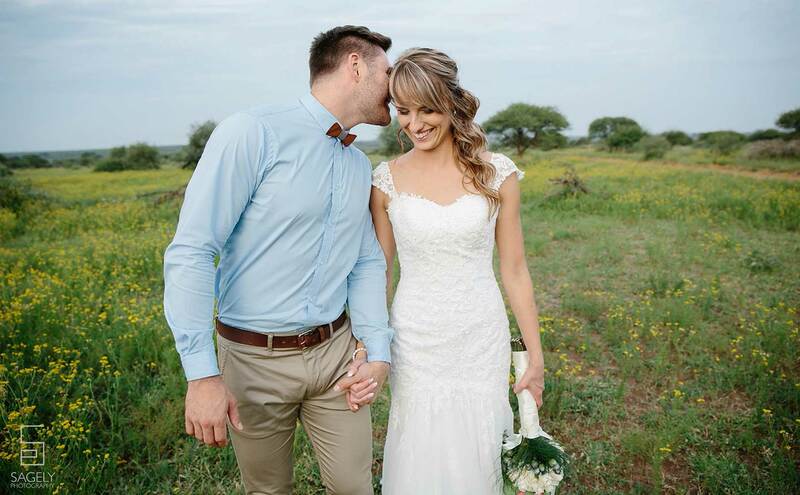 We pride ourselves as the ultimate weekend destination for a bush wedding, limiting hosting to only 1 wedding per weekend to ensure exclusivity for the wedding party. 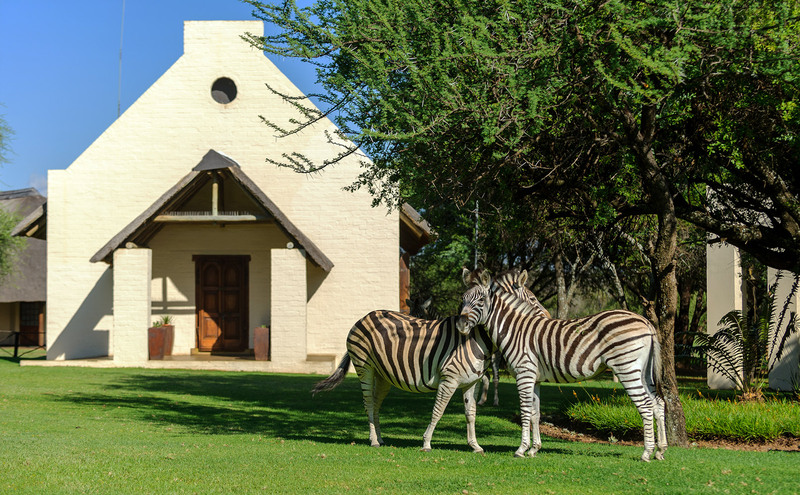 Mongena is an ideally situated bush wedding venue in close proximity to both Johannesburg and Pretoria. The Lodge can sleep 59 wedding guests in shared accommodation with additional accommodation options available within a radius of 6 km. 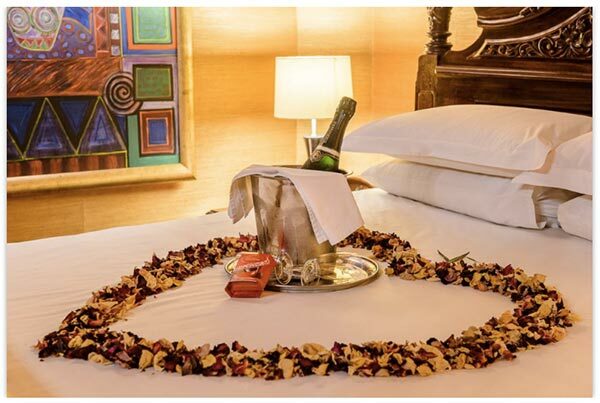 The romantic honeymoon suite overlooking the small dam at main lodge is a must for new and mature honeymooners alike. This suite is complimentary for the night of the wedding on a bed and breakfast basis. 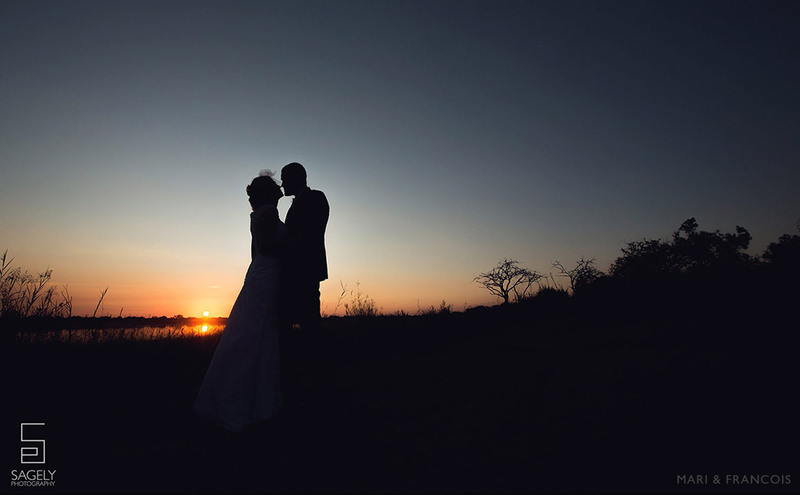 Sunset at the Mongena dam amongst free roaming big 5 animals sets the stage for those awe inspiring wedding photographs where magical moments are created. 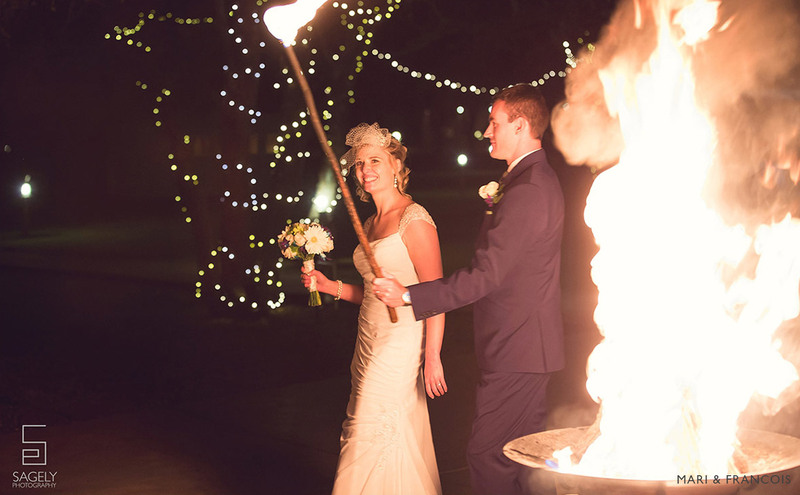 The fire lighting ceremony has become a trademark at Mongena symbolizing unity, the beginning of a new life as husband and wife as well as signaling the start of the wedding celebration and party. 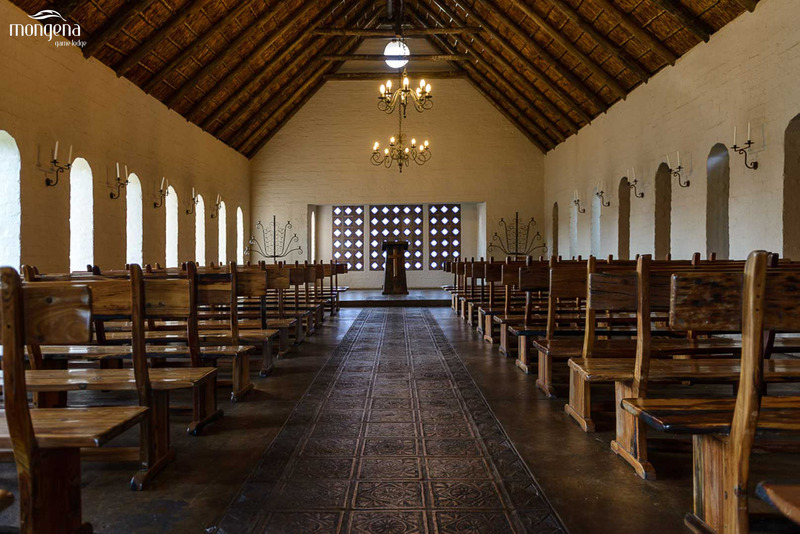 The romantic chapel situated in the main camp can seat up to 150 guests. 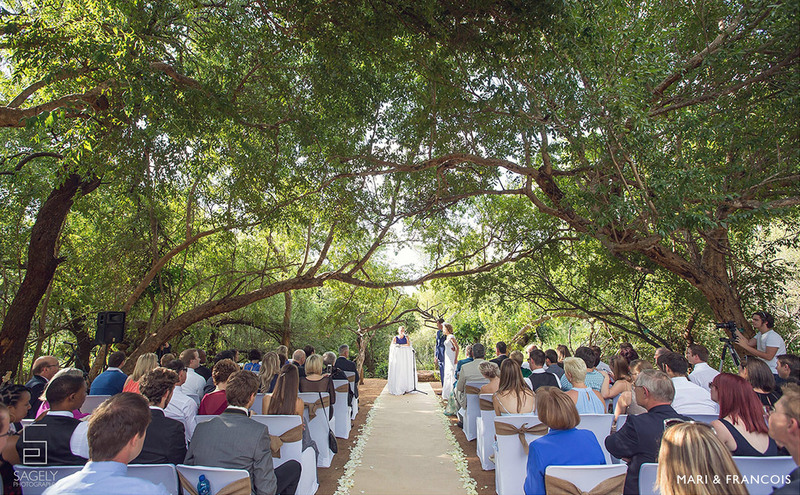 Acacia bush site is the perfect setting for the adventurous, bush-loving bride seeking a treetop canopy backdrop for her bush ceremony. 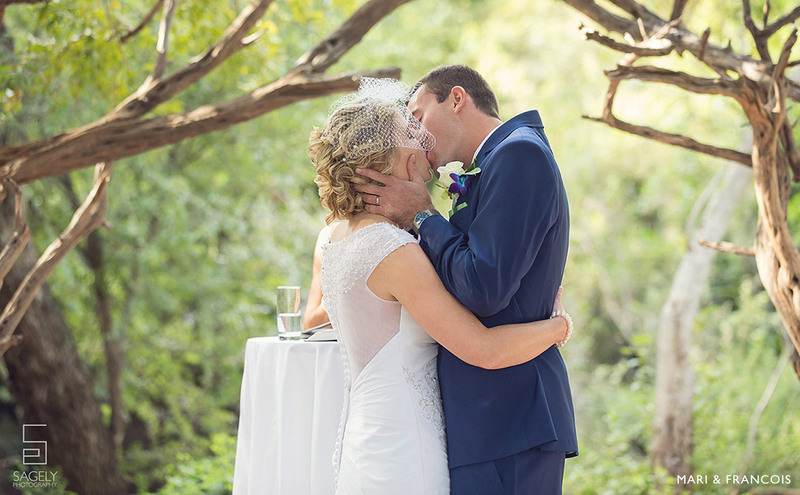 Should the shores of the Mongena dam entice you the upper deck of the Fisheagle boathouse with a 360 degree view of the African bushveld and the 28 ha dam below would be the ideal setting for this extraordinary ceremony. 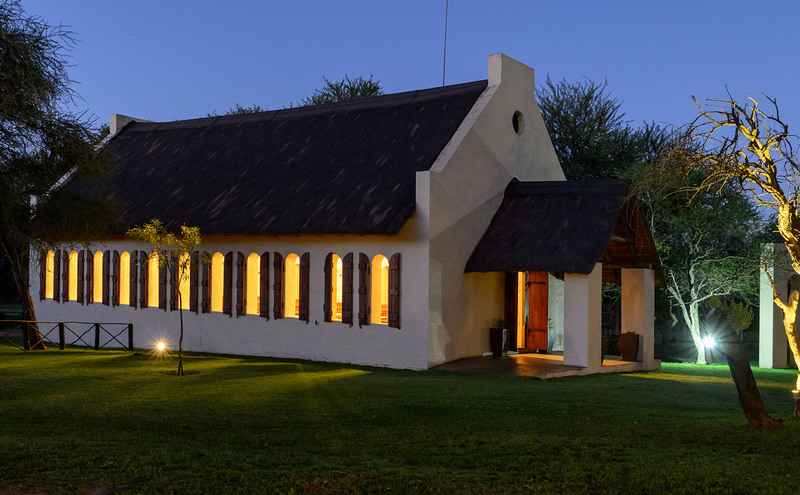 Tshukudu lapa at main lodge with its adjourning bar is the most popular semi-open reception venue offering maximum 150 guests an unforgettable reception under thatched roof overlooking the manicured rolling lawns and indigenous trees of the main camp. The open-air Fisheagle boat house boma next to the 28 ha Mongena lake can seat a maximum of 150 guests comfortably around a central fireplace for a stunning wedding reception under the starry African sky. A stand-by generator ensures the continuous success of the planned function. The Wedding Fact Sheet (click here) details all information pertaining to our wedding packages. Site visits are conducted upon appointment only.